Impress callers and deliver excellent customer service on a budget with live virtual receptionist services from Absent Answer. For less than your cell phone bill, you can have your calls answered live by a professional telephone receptionist trained to take calls in the name of your business. Many small businesses are too strapped for resources to hire a dedicated receptionist. The result is sporadic telephone coverage and customer service levels that often leave a lot to be desired. Virtual receptionist services from Absent Answer provide a better way. By staffing a team of highly trained, experienced answering service professionals who are available to answer calls around the clock, we can deliver the consistent receptionist service your business needs without increasing costs or distracting current staff. While traditional receptionists are employees who require a salary, office space, training, and other expenses, virtual receptionists require no such overhead. In fact, virtual receptionist answering services are so flexible that you only need to pay for the time spent handling your calls. No paying for downtime. Professional customer service is often viewed as a luxury reserved for larger companies who can afford to hire more staff just to pick up the phone. This perception means that companies who make an investment in their telephone presence and customer service experience have the ability to set themselves apart from the competition. Absent Answer exists to enhance your business. Your calls are our calls, and when someone calls your business, we answer with pride. Each and every call is answered live by an experienced telephone receptionist who is armed with training and information specific to your business. These calls are handled as an extension of your operation, as though our receptionist was sitting right in your office. Your callers will have no reason to believe we aren’t onsite. Thanks to a flexible and affordable time-based billing structure, we make it possible for even the smallest of businesses to afford a big time presence. Our goal is to make your business look great and develop instant credibility with every caller we encounter. Flexible and customizable solutions enable our virtual receptionist services to be tailored to almost any situation, from routine secretarial duties to office administrative processes unique to your business. Why enlist a virtual receptionist from Absent Answer? Let’s explore some of the benefits. Our virtual receptionists aren’t restricted to regular office hours. Our answering service is open 24 hours a day, 365 days a year. This means your virtual front office can answer calls around the clock. You may have someone who can answer the phone, but is their primary responsibility? If not, service is bound to suffer. 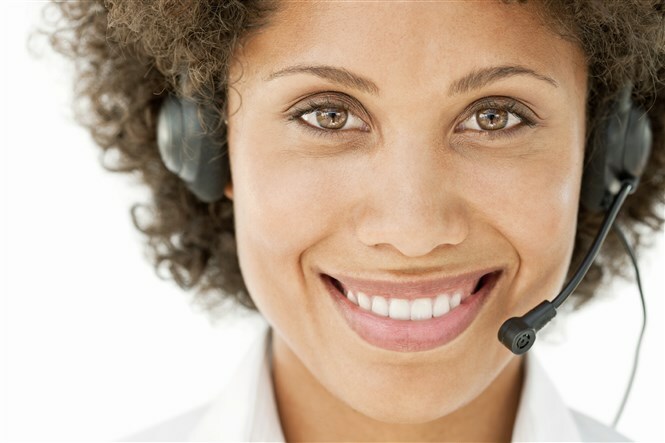 Our virtual receptionists take calls and provide customer service full-time. They are trained to deliver top notch service on each and every call. While we take calls, the rest of your team can focus on doing what they do best. No more distracting office calls or excessive time spent dealing with issues outside their areas of expertise. Utilizing our virtual office answering service to handle your receptionist duties allows the rest of your staff to stay focused and increase their productivity. Unlike onsite receptionists, our virtual receptionists are highly flexible and able to adapt instantly to your needs. Do you want to travel and work on the road? We can take your calls regardless of where you are located. Want to switch up your schedule and go to the office a little later? We can handle calls in the morning without being let into the office. Our virtual secretaries provide business owners with the perfect super assistant to keep up with their busy schedules. Hiring a virtual receptionist to answer your calls is far easier than recruiting a new employee. In fact, it’s as simple as working with our team to establish instructions for handling the calls expected on your account, training our virtual secretaries, and receiving your calls. From there, whenever you need us, we are ready to assist. Here’s a simple breakdown how virtual receptionist services work. A caller dials your office or toll free phone number. This could be a customer with a routine question, a new sales inquiry, an employee calling off sick, or any other type of call that your company receives. Without a virtual receptionist, your callers may be stuck with less than attentive employees or worse, voicemail. But with Absent Answer, our receptionists are always there to answer live, answering each call in the name of your business as if they were sitting in your front office. Just like real life assistants and front office staff, there’s no limit to the level of support our virtual receptionists are able to provide. Instead, our team is armed with your precise instructions and handles each call per your expectations. We can perform initial call screening and transfer the call to the appropriate person, manage appointments in your calendar, navigate your website, take messages, and more. Whether you’re a solo entrepreneur who is in need of a friendly voice to answer calls or a multi-state law firm looking for a centralized front-office to route callers across all of your locations, virtual receptionist services from Absent Answer can be tailored to fit your needs. Your receptionist will always answer live in the name of your business, greeting callers and executing precise scripting or instructions that you determine in advance. The processes you want us to follow can be set in stone, and we can go about our work using the same web-based applications that you use to run your business. Below are just a few examples of the roles our virtual receptionists are filling for our clients. Don’t see your need on the list? Contact us today to discuss your situation and develop a custom solution for your business! Live Receptionist. Do you want to provide professional customer service without investing in training, software, office space, and staff? Absent Answer can deliver all of the above, working as your virtual office receptionist and impressing callers with excellent service day in and day out. After Hours Call Coverage. Why send callers to voicemail or rely on an automated system after hours when you can utilize live agents who can respond in real-time? Thanks to our 24 hour availability, our clients never have to worry about losing touch with their customers. Your Absent Answer virtual receptionist can take calls any time you need her too. Message Taking & Call Routing. A virtual receptionist comes with all the benefits of an onsite receptionist, including the ability to route callers to the appropriate extension and take messages for you or members of your team. Messages can be delivered by text, email, call, fax, or phone call. Appointment Scheduling & Calendar Management. Our virtual receptionists aren’t limited to just answering calls. They can function as true virtual assistants and handle numerous routine office tasks, including scheduling appointments, managing your calendar, fulfilling web-based tasks, and more. U.S. Based Virtual Assistants. Our call center is based in the USA and staffed with native English speakers who can help minimize friction and exceed expectations while carrying out receptionist duties on your behalf. Customer Service Expertise. Absent Answer’s virtual receptionists are among the best in the business; highly trained, experienced, and committed to delivering exceptional service that our clients are proud to pass on to their customers. When you work with Absent Answer, you instantly gain a friendly, responsive team of assistants ready to deliver stellar interactions on your behalf. Call Recordings and Reporting. All calls are recorded and time stamped, with detailed call reports made available so that you can track usage and maintain compliance. We deliver all of the business data and intelligence you would expect from a call center operation running onsite at your facility. Custom Greetings & Instructions. Everything can be configured just like you were instructing an employee on how to handle calls in your office. From the way your calls are answered to the instructions receptionists follow, everything can be tailored to meet your needs. Web-based Software Integration. Our team can utilize your web-based systems to perform routine business processes, such as opening maintenance tickets or scheduling appointments. By using your existing software applications, we help improve efficiency by eliminating data entry costs, avoiding redundant sources of information, and maintaining existing processes that customers have already come to expect. Ready for a virtual telephone receptionist that can become your ideal assistant and help run your business? We are ready to help. Contact our account team today to discuss your live answering needs and learn more about our affordable pricing plans. Call Center & Answering Service Coverage Areas: Including Jacksonville, Atlanta, Orlando and other southeast businesses.